American Shad were introduced to the West Coast in the 1800s and have flourished ever since. Oregon is weird. We have a culture built around gamefish, but not all of our gamefish are native. Rainbow Trout are the most popular species in the state, but most fish caught annually by Oregon anglers aren’t native fish; they’re mostly hatchery trout. Though Rainbows, Cutthroats, and Bulls are Oregon’s only native trout, we have a slew of other introduced/invasive (depending on who you ask) trout that are afforded gamefish status. Likewise, all five Pacific salmon species and Steelhead (genetically still a Rainbow Trout) are all native fish treated like kings. Sturgeon gets the same treatment. Bass aren’t native, and they’re certainly invasive and problematic in riverine environments and arguably so in some lakes. But bass don’t get all of the gamefish protections. You can fish for them at night. There is no dedicated bass season. At time of writing, no Oregon waters have purist trophy bass catch and release stipulations. “They’re invasive, though” critics would argue. My counterargument? So are shad. Named for an 18th century frat boy, shad are anadromous, silver torpedoes that look — for all intents and purposes — like gamefish. I was kidding about the frat boy. It’s the other way around. The American Shad is an intriguing species. So intriguing, in fact, that I actually read an entire novel about these fish. I’ve never done that for any other fish species (no novels, that is). When I read a book called The Founding Fish, I found it slow in places, but I was taken, and it was a worthwhile read. I finished the book before I’d even caught a shad of my own. I wrote in detail about these fish already. I framed one story through my own lens, through my first experience with these freshwater herring. If my fishing stories bore you to tears, I would ask why you’re reading, but I guess I am somewhat handsome, so you could just be admiring me from afar, but am I that good-looking? I don’t know. I haven’t broken any mirrors lately, but they rarely thank me after using them, either. There is a third option, though. Maybe you prefer the fact that I try to intersperse knowledge and science and history into my writing along with the fishing trips and self-deprecating humor. If that’s the case, click here for my history of American Shad in the PNW (that’s hipster for Pacific Northwest, if you’re not from here). 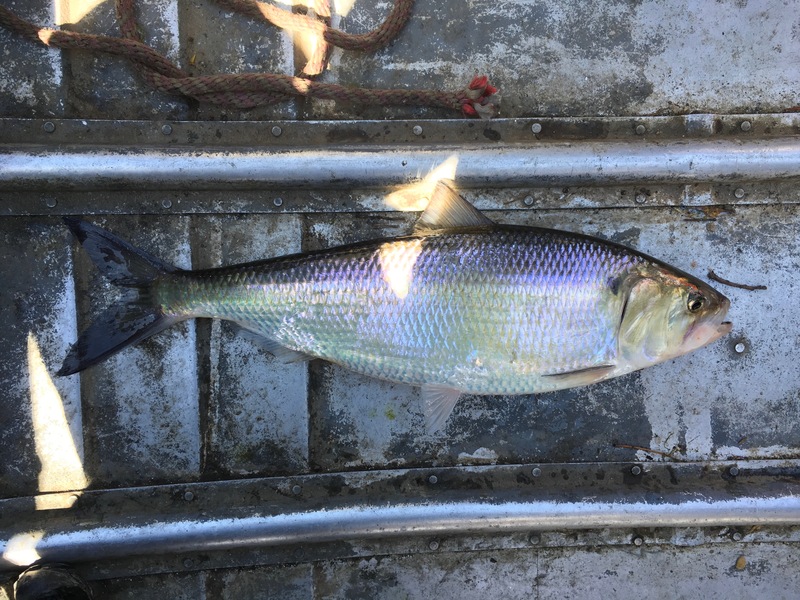 Shad are one of the most underrated fisheries in Oregon. They fight way better than a comparably-sized salmon or steelhead, and just because they aren’t the best-tasting fish, they get relegated to “crab bait” by most anglers. 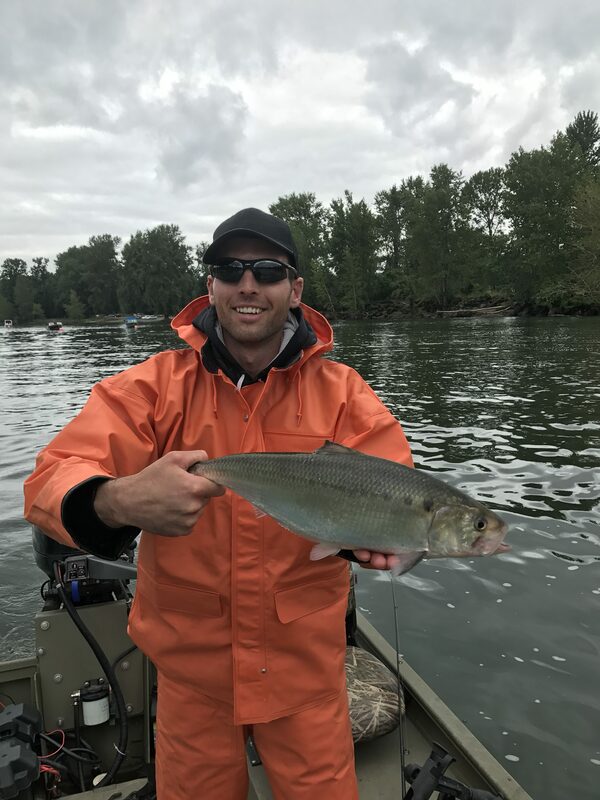 Apart from there being no limit on the fish, American Shad are otherwise managed as a gamefish because they fight like one, challenge you like one, and there’s a dedicated following for Oregon shad. I know I am among them now. Read the next entry in #SpeciesQuest here: Species #85 — Shiner Perch.